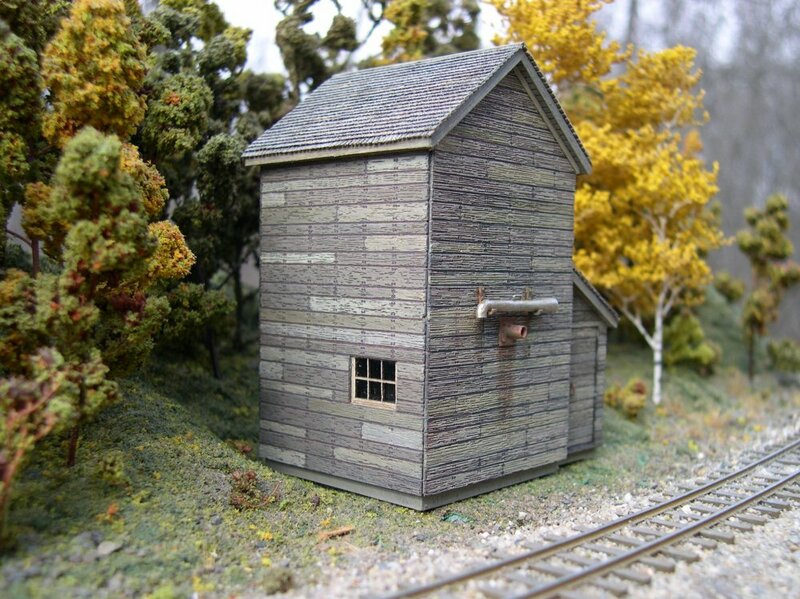 SR&RL Kingfield Engine House. Faithfully reproduced with stud walls (complete interior), siding, windows, doors, 3D rood vents (early and late). 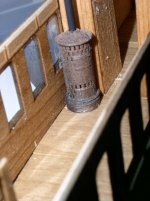 Select version will include loco inspection pits. Available in HO, S and O scales. Extremely limited quantities and only prepaid $50.00 reservations are being accepted. 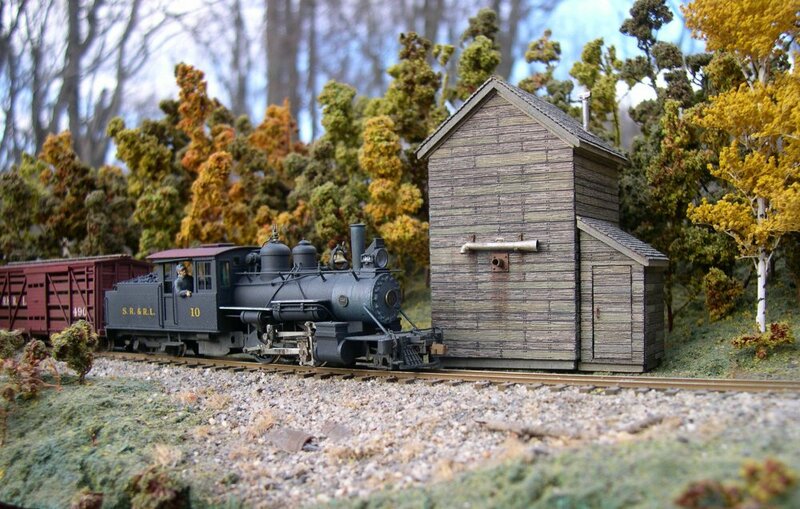 S scale version will be available at the upcoming Timonium Railroad Show, Baltimore, Maryland, January, 31, February 1, 2015. Available in Sn2. Easy assembly, correctly engineered sides and blade.On2 Model shown courtesy of Bob Bennett. 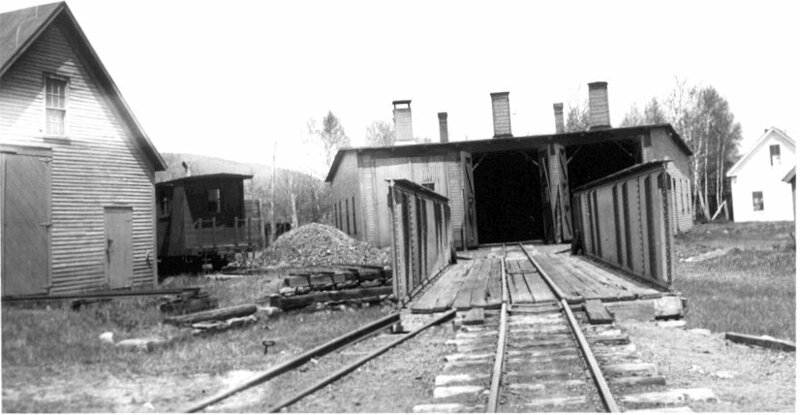 Edwards passenger car stove: Unique to most Maine 2-foot roads, and other standard and narrow railroad using Laconia passenger cars. 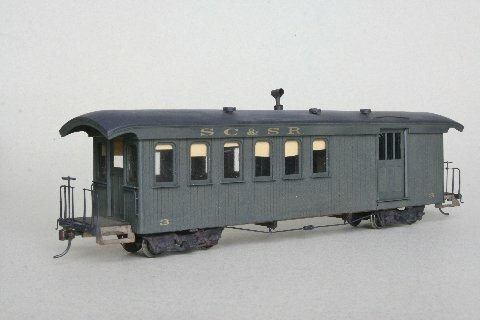 The Monson combine is the perfect short passenger car suitable for Sn2 layouts with minimum space and tight curves. 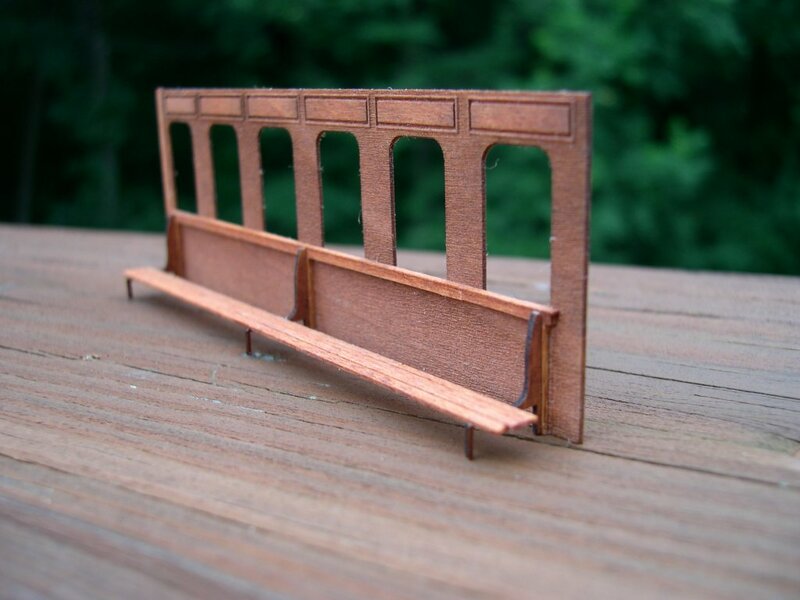 The car has been years in the design stage and is simple to build for even modelers with average skills. 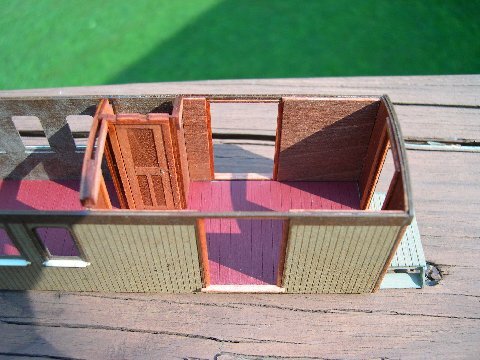 Roof and underframe are removable to allow for interior work. Special white metal castings for roof, platform and end rail details make construction even easier and faster. Trucks, couplers and lettering not provided. 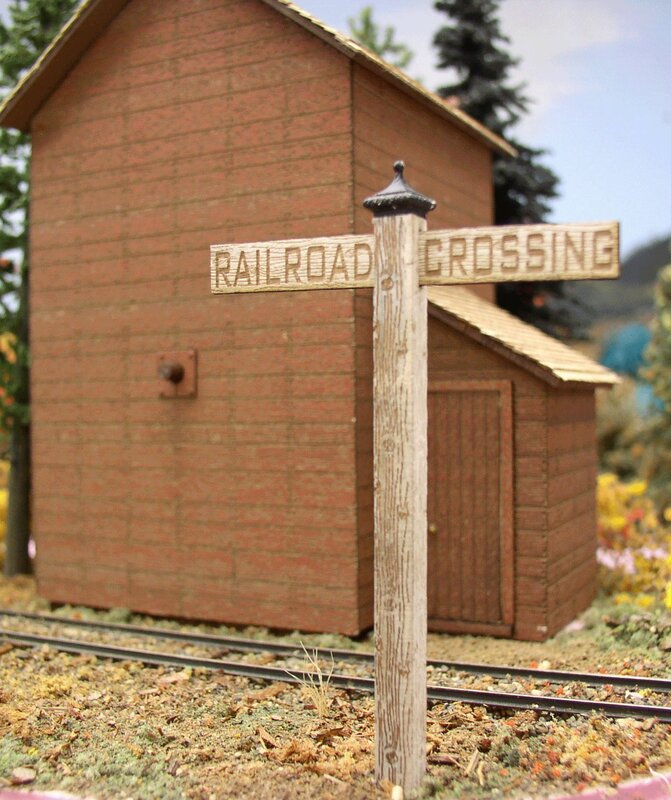 Monson Railroad lettering will be offered at a later time. Soon to be available in On2 / On30 and Sn2. 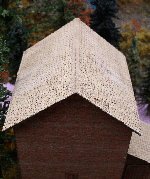 Features one piece roof, etched sides for ease of assembly custom cast end beams and railings. Click on the image to see a 3D LOOK! 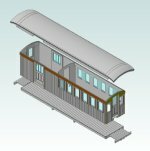 The Monson combine is the perfect short passenger car suitable for both On2 and On30 layouts with minimum space and tight curves. The car has been years in the design stage and is simple to build for even modelers with average skills. 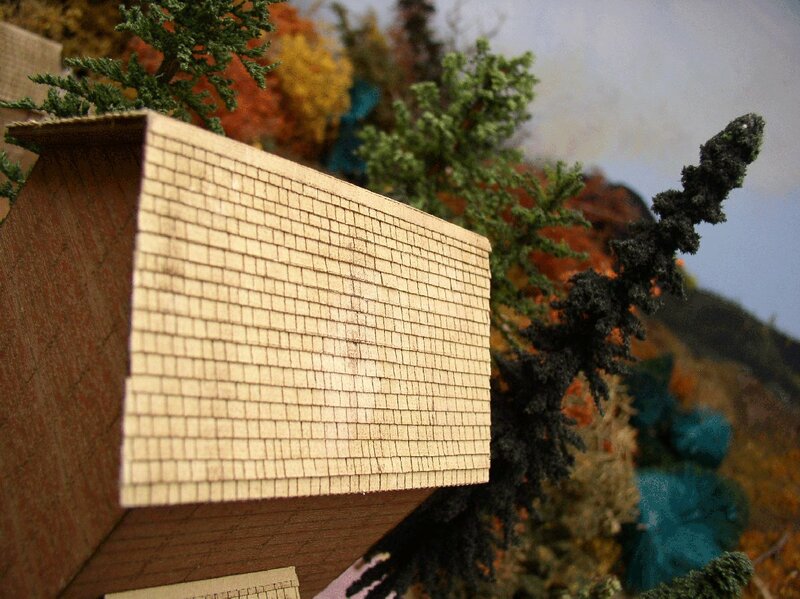 Roof and underframe are removable to allow for interior work. Special white metal castings for roof, platform and end rail details make construction even easier and faster. Trucks, couplers and lettering not provided. 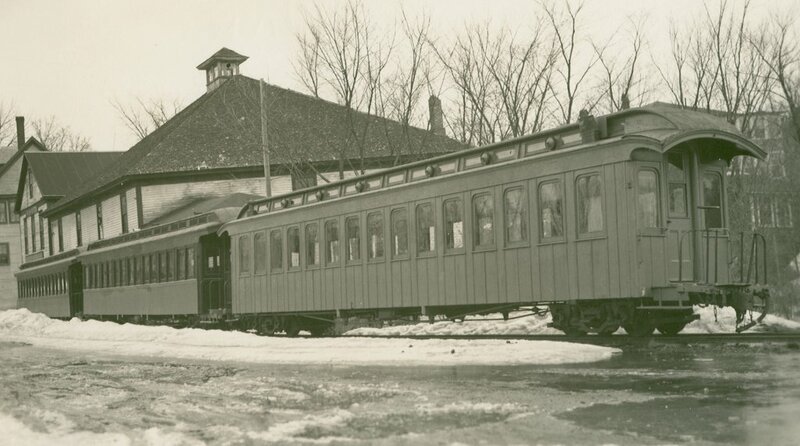 Monson Railroad lettering will be offered at a later time. 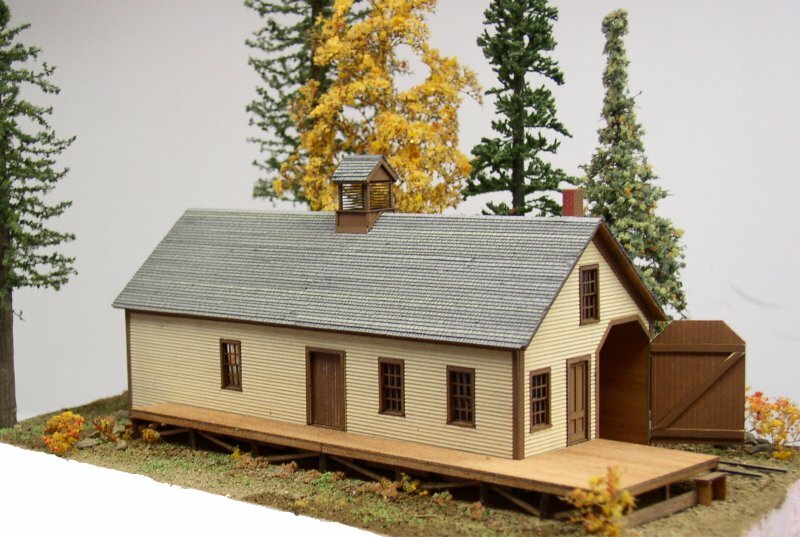 N Scale standard gauge covered station. 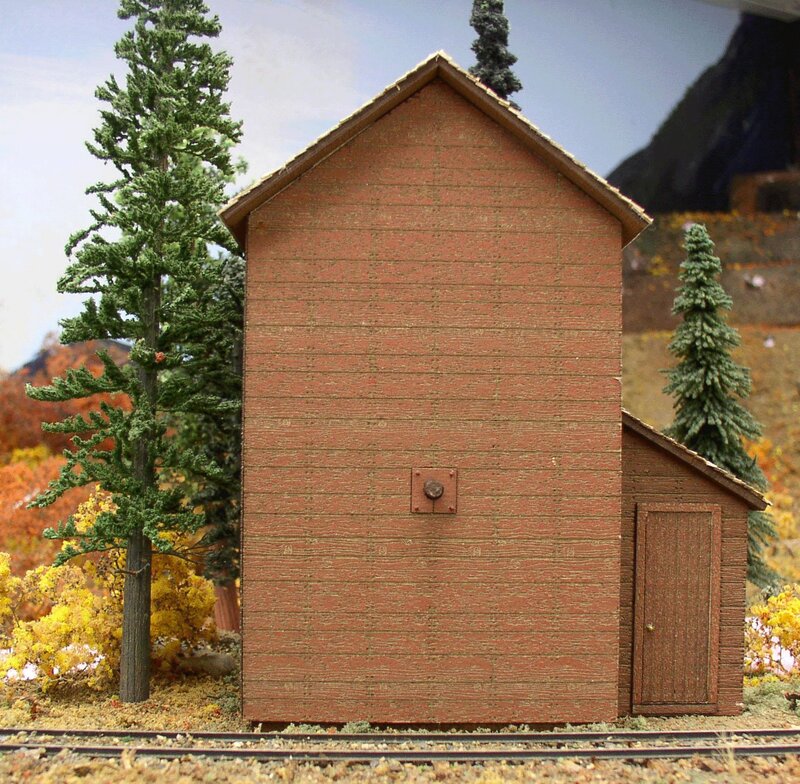 Suitable as station, car shed or single stall engine house. Elk River Series Ridley's Mill, available in N, HO, S and O scales. Two Story version also available. 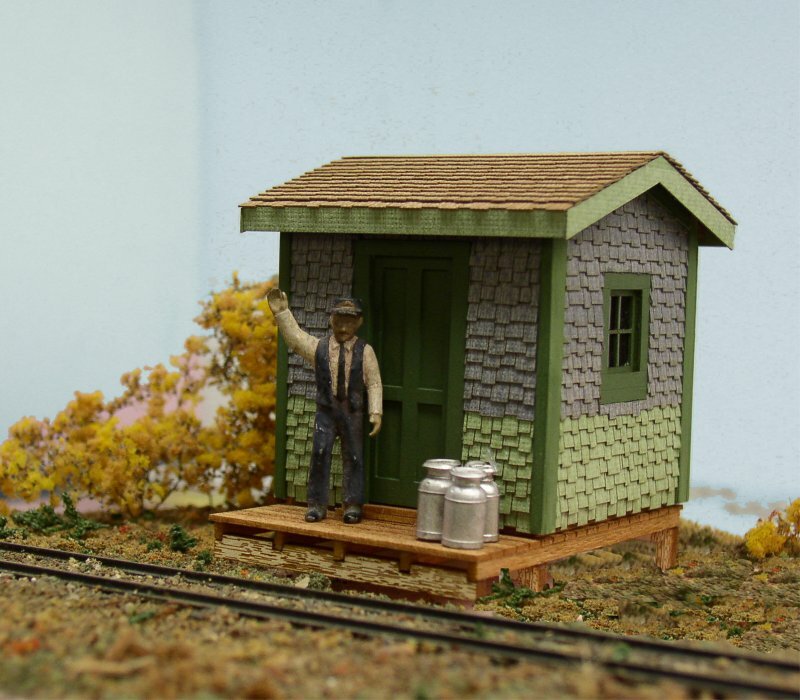 Prebles Milk Stop, available in HO, S and O scales. 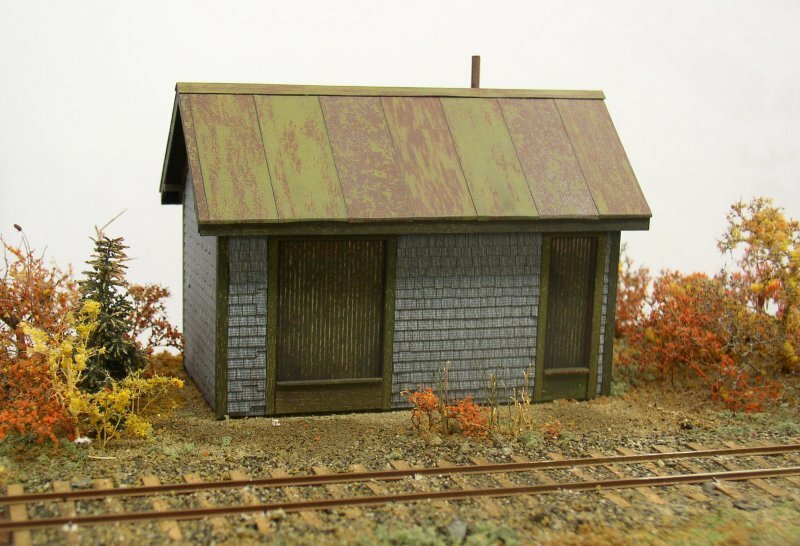 Carrabasset Station available in HO, S and O scale narrow gauge. 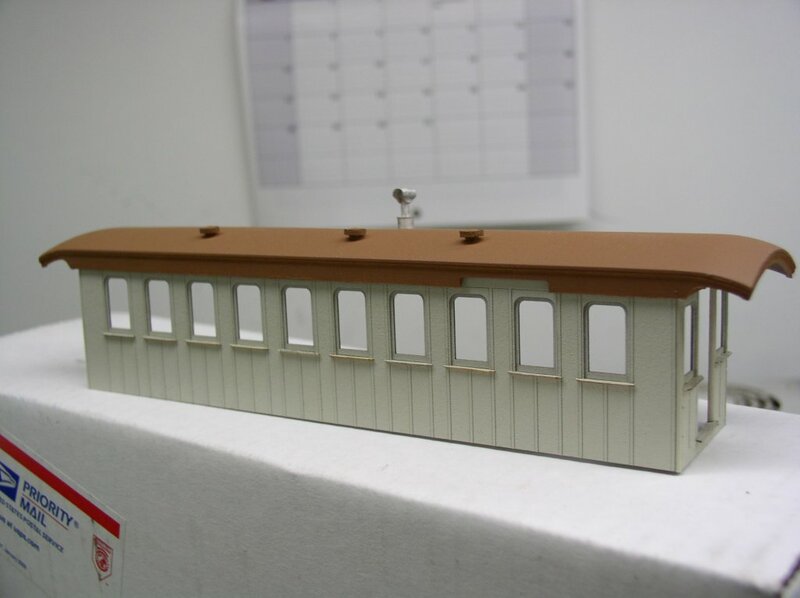 Also available for N scale standard gauge as a covered passenger station, or single stall engine facility. 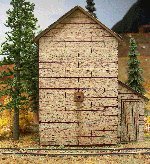 Kingfiled Powder and Section House, available in HO, S and O scale. 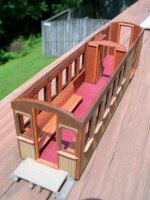 Franklin and Megantic 28 foot flat car On2 / On30, simple easy to build, includes all hardware, brake beams, all holes drilled in three dimensions, weathered wood deck, also includes frame assembly fixture and truss rod assembly fixture (without trucks and lettering): $31.95 plus shipping. Franklin and Megantic 28 foot flat car On2 / On30, simple easy to build, includes all hardware, brake beams, all holes drilled in three dimensions, weathered wood deck, also includes frame assembly fixture and truss rod assembly fixture (without trucks) includes pre painted and lettered sides, your choice of road and number (please specify on ordering) : $36.95 plus shipping. Click on the image to see a 3D LOOK!!!! 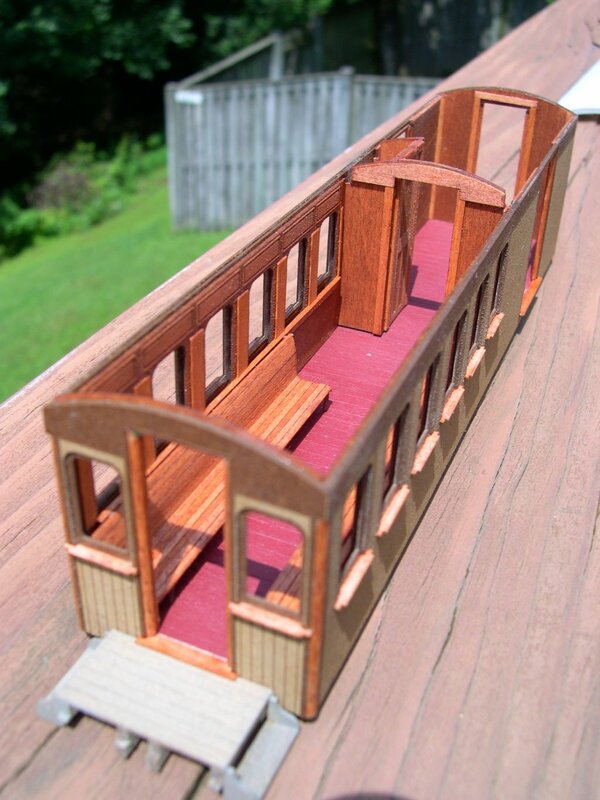 Carrabasset station kits feature trim the fits in siding for proper look, our unique doors and windows, wood grain and located rail inside of structure for fast, east assembly. And, our unique correct preweathered 5" reveal shingles. Approximate sheet size is 8 x 10, 30 colors please ask. Shipping $1.00 US, $4.00 elsewhere. On30 tie strips coming soon. 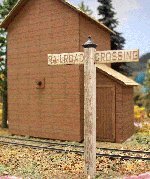 Also coming: HO standard gauge covered water tank, brick and clapboard siding.